Fragrance is hard to convey in words. It must be experienced. We try our best to describe them, but there is just no way we can explain how they will make you feel. So we have assembled a pack of handy size shaving creams that we call Island Hopping, which offers you an opportunity to try our shaving cream and at the same time do a quick tour of our Fitjar Islands fragrances. The set includes Fjellheim, Folgefonn, Slåtterøy and Havn. Read more about the different fragrances here. These the jars excellent for traveling with only hand luggage. Just fill them up again and again with your favourite shaving cream and bring them with you. 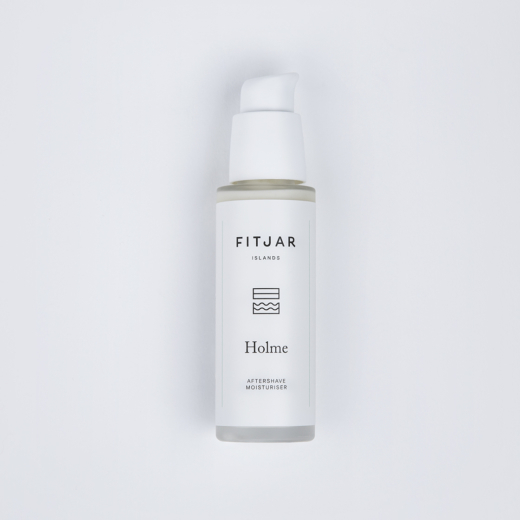 And….. Fitjar is back!!!! with a great idea I must say, this set is wonderful to discover the amazing fragrances from Fitjar!! Anny one in doubt to witch to choose, his is the perfect thing. Great work from Fitjar, Love it!!! 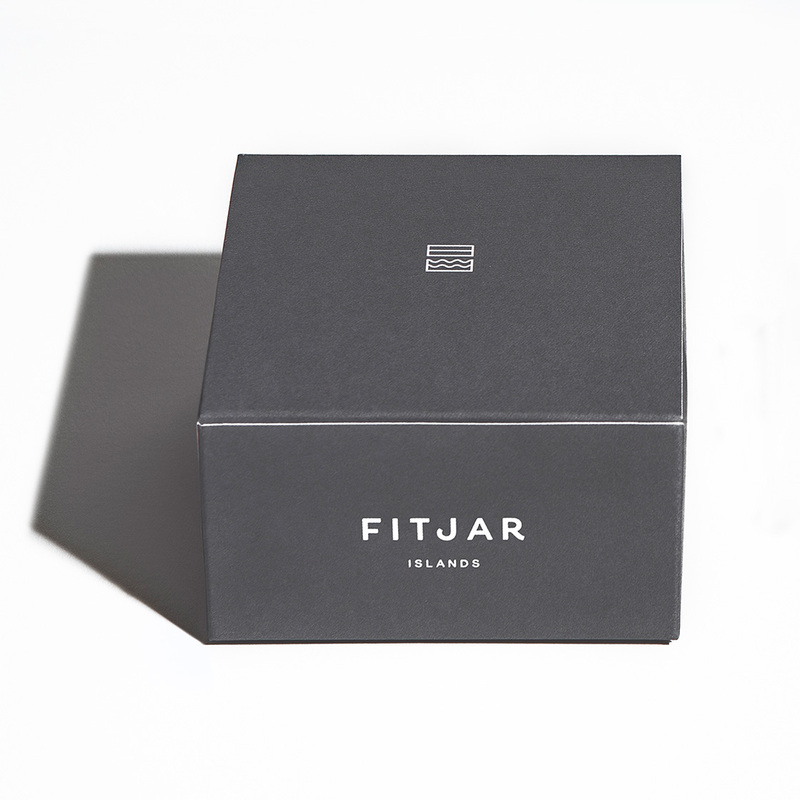 I don’t normally leave reviews, but the Fitjar Island products are just so good that I felt I must let others know! Normally I use Castle Forbes, Geo F. Trumpter and TOBS and decided to give this a try. 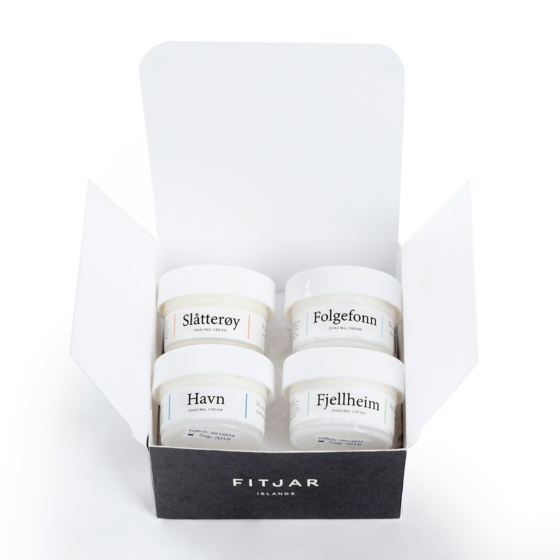 I live in the Canary Islands where we have summer all year around and ALL of the Fitjar Islands products work perfectly here for me……a fresh and natural feel/ smell and a comfy, relaxing shave! Matched up with the Shaving Cream is bliss! So good, that I now own all of the different shaving range to mix my days around. Perfect for when I am travelling….I can choose which one to take with me. “Goodbye” to most of my other shaving products! 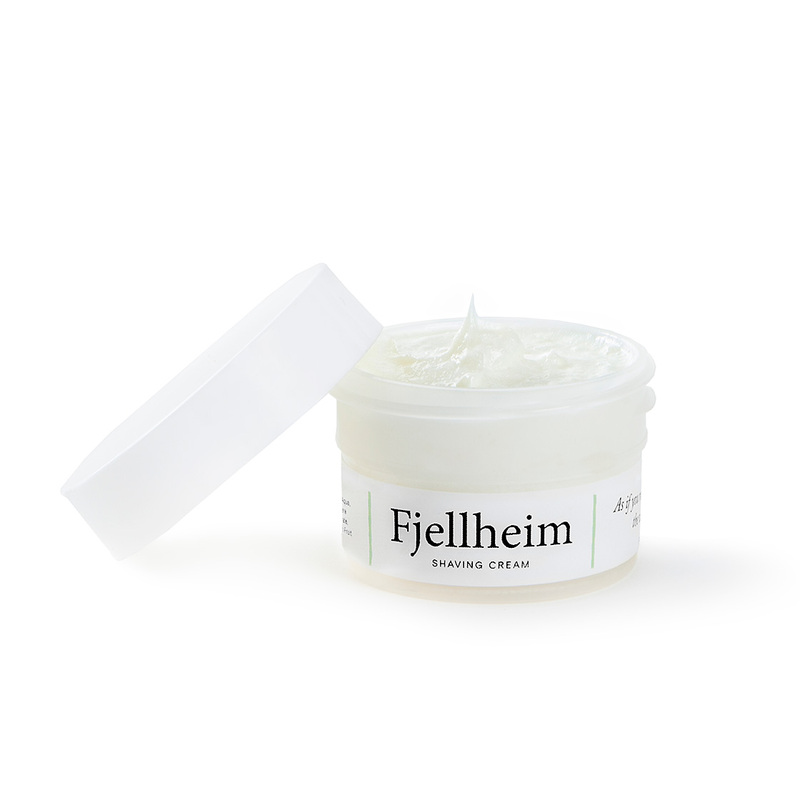 Used to think in terms of UK when it comes to talk shaving soaps/creams, but I foud quite an interesting world in Germany and when I came into a Norwegian soap, I got curious. Some countries are bound to a certain product and rarely the are seen for what they really are. Italy? Spaghetti and pizza (in spite of what many Americans think), Netherlands? Cheese! Scotland? Bagpipes! Norway? Stockfish! Actually each one of these countries has a highly reputed name in shaving soaps! Getting to know them it’s only matter of your approach to shaving! 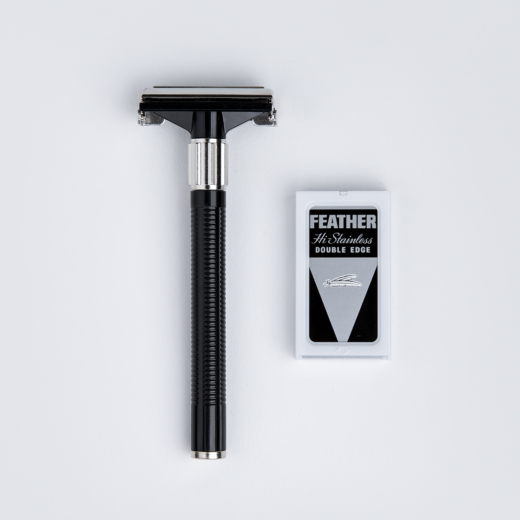 Do you shave just to be tidy? You’ll probably never get to know most of them! However, in years, I stumbled upon many soaps whose scent was not what I expect from a shave. Some soaps smell like food: coconut, banana and also… bacon! I would not know how to get a fried eggs aftershave! So I quit buying on scent explanations: I do want to smell what I am going to lather on my face! That’s why i appreciated the possibility of purchasing some samples from Fitjar Islands. Normally I am fond of hard soaps rather than creams, but, as far as smelling is concerned, either one works. The first thing I did as i got the sample set, was, obviously, smelling it! I was perplexed by the fragrances wich, to me, were Mediterranean! I imagined ‘Northern’ fragrances more… say warm, dusk, smoky! Perfect scents for spring/summer time! How about autumn and winter? 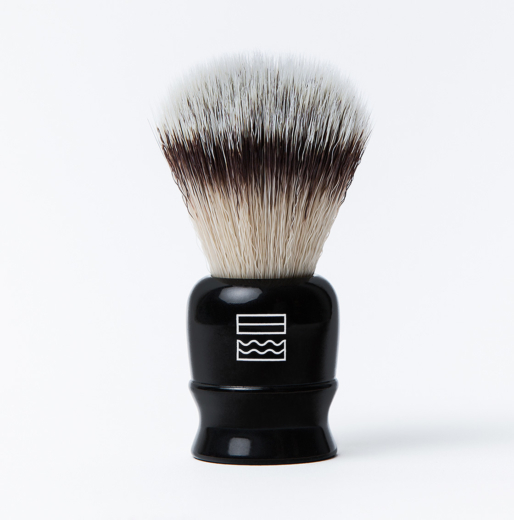 Well, if you shave with Floris, Santa Maria Novella, Goodfellas Black & White, would it make a difference? On top of scents I was amazed by the texture: never found a shaving cream so soft and creamy. Suitable for scuttle and face lathering, they require some attention with water. They must not be drowned but water must be added slowly until you get to the matching point with your personal technique end they will turn into and explosion of whipped cream: a delicious feeling on your skin! Be prepared: You may not be able to choose even after trying all four varieties. Each of the fragrances have different qualities and will fit your different moods, so there is a real danger that you will end up with all four as favourites!